Did you hear they’ve taken the word gullible out of the dictionary? Of course you wouldn’t fall for that old one, but millions have. Apparently the people at the Oxford English Dictionary regularly receive letters complaining about this. Or so I have read! 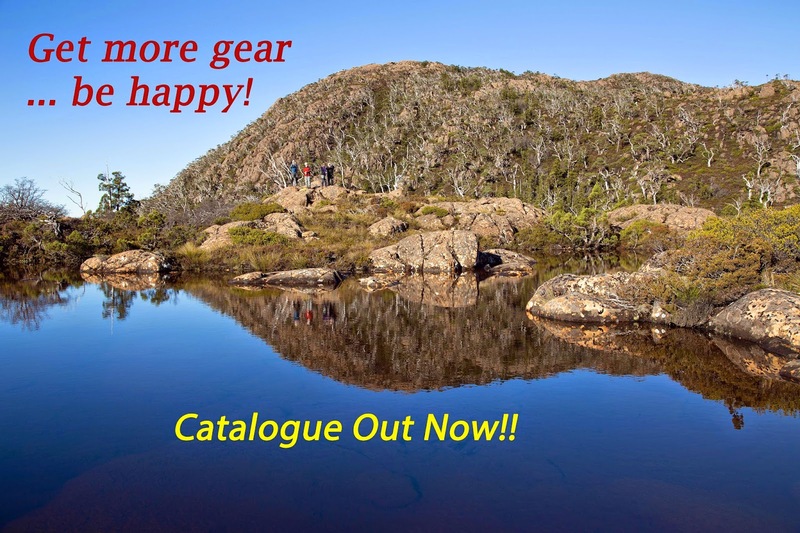 Gullibility is an old and rather endearing human trait, and one that keeps the outdoor gear and bushwalking world ticking. It’s a world where science and magic meet; where woofle dust is as potent as truth; where the carefully crafted words of catalogues, online blurbs, or sales staff, can tip you from rational to impulsive. Take these words, used to sell a popular outdoor product. Light output is optimized to guarantee the chosen burn time. The wide, mixed or focused beam gives lighting that can be adapted to any situation, from close-range to distance vision. Is this describing the lighting system for an FA-18, or a Porsche Cayenne? No … it’s for a head torch. A torch that will set you back around $175 (batteries not included)! Or consider this piece of outdoor apparel. The fabric upgrade takes the update of a classic utilitarian design to a new kind of utility—shelter against severe weather but guaranteed comfort during dashes between locations or longer outdoor experiences. Despite this whole new level of “utility”, it seems you shouldn’t use it for TOO long in some conditions. It’s only suited to “regions that evade winter’s full onslaught.” Disappointed? Maybe this will sway you. “In line with the more dynamic approach, a map pocket that is easily accessible on the go replaces the traditional chest pocket.” Yep, I’d certainly be glad of being able to access a map in my $1000+ raincoat! I’m intrigued too that the search for waterproof footwear hasn’t stopped at waterproof boots and shoes. You can get “waterprooof” sandals from several companies. Their definition of waterproof is a bit “special”. They use woofle terms like hydrophobic mesh lining and waterproof upper materials but ignore the elephant sitting in the puddle. These are, after all, open-sided sandals, as waterproof as fingerless gloves. Your feet will get wet, folks! “But wait …” I hear you say, “what if I have waterproof socks?” To which I reply: that’s another whole exercise in the fantasy that moisture only comes from outside. The bad news here is that we sweat, even through our feet. Stroll carefully across wet grass, wearing waterproof socks and sandals (and putting aside, for the moment, any notions of fashion), and your feet will stay dry. Gumboots would do the same job, as might plastic bags. But try any proper walking, in rough, wet, muddy conditions, for an hour or more, and your feet will become moist. And smelly too. A permanent* Nano-level water repellent polymer treatment applied to a high loft, high quality down. The Nano-thin treatment vastly improves the down’s reaction to water without effecting its weight or loft performance. So the $600+ bag apparently dries 60% faster than normal down. I remind Jim that he usually uses his bag in (dry) huts. I then stress the wisdom of him not getting his bag wet in the first place. But a dangerously glazed look has come over his eyes, and I fear that the words “poop poop” are on the tip of his tongue. coated with ceramic powder to absorb all kinds of less-than-pleasant body odors, from sticky perspirations to gaseous emanations. Metal ions in the powder break down malodorous compounds. . . . Up to 80 percent are eliminated within 30 seconds. They remain effective even after being washed 100 times. Having walked a lot with Jim, I can see a genuine need for these little beauties. I’ll be seeing Jim tonight. If he’s not glad of the news I’m sure there are others in our walking group who will be. I might even pass the hat around.